As I watch shorebreak bombs explode at the Quiksilver Pro Francevia webcast, one thing that stands out besides the crazy hollow shorebreak is the brown large grain sand local beaches are made of. The beaches and sandbars of southwest France, that result some of the world’s best beach breaks for surfing, are filled with large grain brown sand that flows out of the estuaries and rivers of the region. Because much of the coastal zone along the southwestern coast of France remains free of development, with extensive barrier dunes still in place, the beaches aren’t subject to the same process of erosion as our beaches are (but there is extensive erosion in coastal cities there). In San Diego in contrast we have channelized and dammed our rivers and thrown up rocks, seawalls and structures along most of our coast. In short we have done everything possible to obstruct natural sand flow and enhance the non-stop cycle of beach erosion. In the 1950s and 1960s, the prescription for our own coastal erosion mess in Southern California was for the U.S. Army Corps of Engineers, a historically inept and mismanaged agency, to build large jetties along the shoreline and even more destructive breakwaters. Later the Army Corps carried out massive dredge and fill projects to replace lost sand. In 1977 the Army Corps dumped massive amounts of toxic sediment and sludge from San Diego Bay on the beach in Imperial Beach. Later the City of Imperial Beach and the Army Corps proposed the construction of a mile-long rock breakwater. Thanks to local surfers and the then fledgling Surfrider Foundation, we stopped that crazy scheme just as the Corps was ready to dump the rocks in the ocean. More recently the Army Corps in partnership with the City of Imperial Beach, once again dredged the most toxic and garbage ridden sites in San Diego Bay and dumped the garbage, rocks, and rebar in Imperial Beach along with toxic sediment. A few years ago WiLDCOAST worked with Senator Tom Coburn and the Obama Administration a few years ago to stop a planed $50 million projectslated for Imperial Beach that proposed dredging an area near a sewage outfall pipe and WWI aerial bombing range. That project involved no public consultation, the involvement of secretive and highly paid sand lobbyists and PR films, millions spent on badly written environmental documents, and no effort to work with the public and or use clean sand. So dredge and fill projects have largely been a mess in San Diego County. However, of all the projects that have been carried out those managed by the San Diego Association of Governments (SANDAG) have been managed in the most sensible way. The 2001 regional beach replenishment effort by SANDAG resulted in the deposition of clean high quality large grain sand, extensive public consultation, and the involvement of locally-based project managers who work with local stakeholders—something the Army Corps of Engineers has no interest in doing. On Thursday, SANDAG will finish up its sand replenishment operations for Imperial Beach after having placed more than 300,000 cubic yards of sand on the beach. The project is massive and has been well managed. 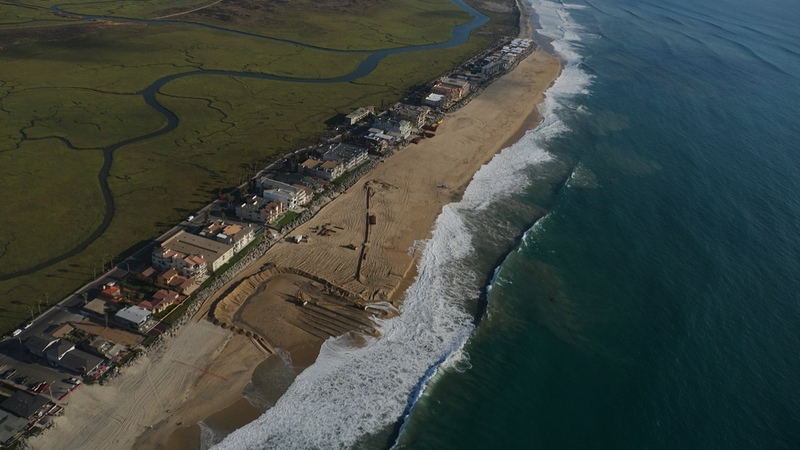 For many surfers and beachgoers the current sand project has been a field course in coastal geomorphology and engineering. After finishing in Imperial Beach this week, SANDAG moves the project to Oceanside, Moonlight Beach, Cardiff State Beach, Batiquitos, and North and South Carlsbad. 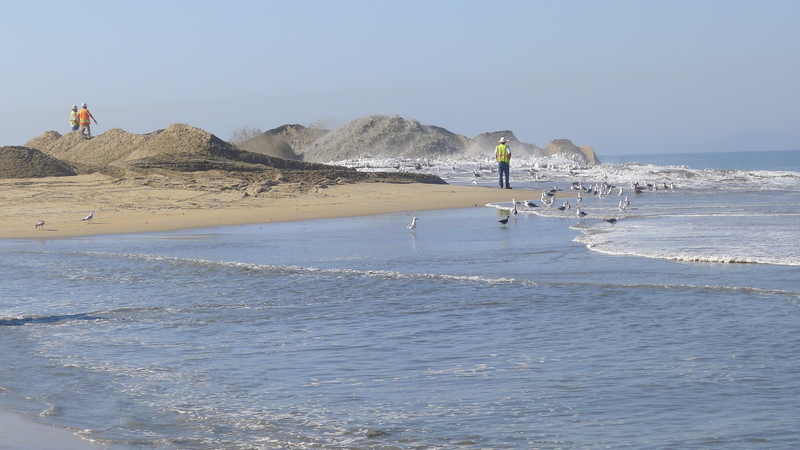 In total SANDAG will place more than 1.4 million cubic yards of sand on county beaches. In Imperial Beach the new sand has temporarily wiped out rideable surf over much of the beach (note to surfers—don’t waste your time coming down to IB—the entire beach is a closed out shorebreak), but I expect the sand to level out over the next few months. As the project moves to Oceanside and the rest of North County, it will be critical for surfers and other stakeholders to monitor the project and evaluate its impacts. As a surfer, coastal conservationist, and dedicated beachgoer, I know that having a local agency like SANDAG carry out these projects is a million times more preferable to having ecological and economic coastal disasters foisted upon us by the U.S. Army Corps of Engineers. A boy who was almost impaled by metal dumped on Imperial Beach in 2004. Sometime this week the Scows DS5, Harold M and Clarence D and tugs Katha C and Killeen will transport barges filled with 33,000 cubic yards of sediment dredged up from the Ballast Point Coast Guard Station in San Diego Bay by the vessel DB Palomar. Rather than dump the dredge spoils that contain cadmium, lead, arsenic, mercury and polychlorinated biphenyls (PCBs) at an existing dumpsite off of Point Loma, the toxic sediment will be placed just offshore from the terminus of Imperial Beach Boulevard in Imperial Beach. The placement of this toxic material will be carried out with the approval of the U.S. Environmental Protection Agency and the City of Imperial Beach. The history of Imperial Beach is rife with a parade of badly executed “beach replenishment” projects that have failed to actually do much to protect our coastline. The problem of our receding shoreline is the result of the combination of sea level rise, the construction of the Rodriguez Dam, and the armoring of our coast. 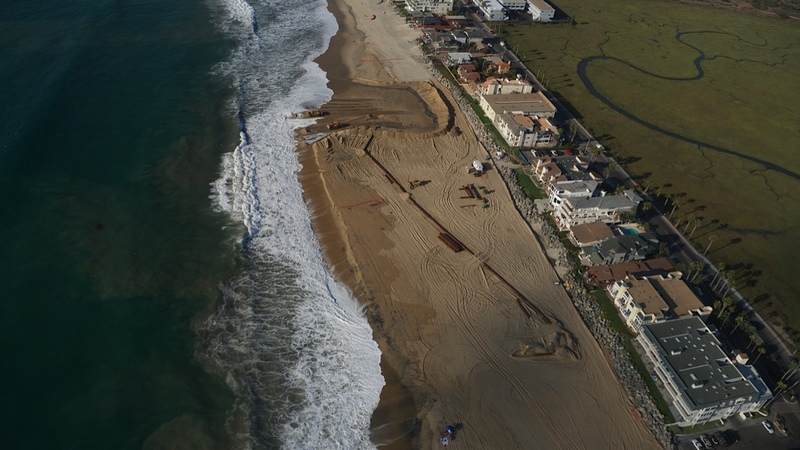 Here is a brief history of the mostly unsuccessful and fatally flawed sand projects carried out by federal agencies at the urging of the City of Imperial Beach. 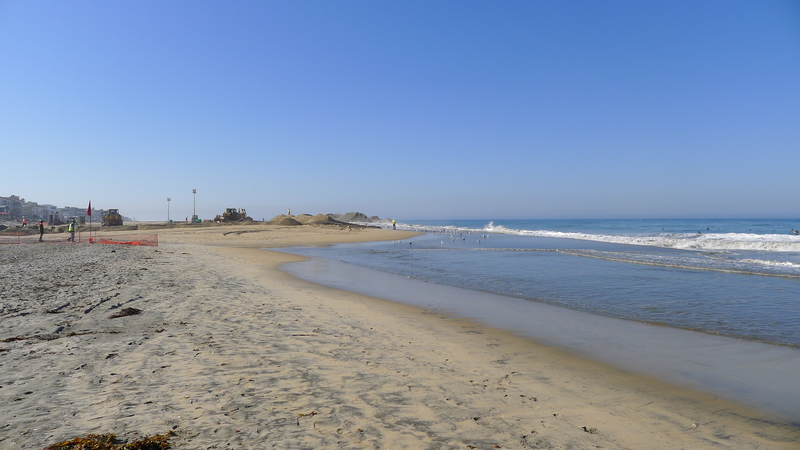 Only one agency, SANDAG has been able to carry out a successful beach project—primarily due to its commitment to using clean large grain sand for its projects. 1976-77: The most toxic areas of South San Diego Bay are dredged and the spoils are dumped on Imperial Beach killing benthic life (e.g. sand crabs) for more than a decade. Local surfers still tell stories about the skin rashes they received from contact with the filthy sediment. 1977-1984: The Army Corps attempts to build a mile-long breakwater in Imperial Beach. The fledgling Surfrider Foundation and local surfer Jim Knox stop the project at the last minute. The breakwater would have forever destroyed surfing and wave action in most of Imperial Beach. 2000-2009: Army Corps and the City of Imperial Beach plan a $75 million long-term project involving dredging an area near the border sewage outfall pipe that was used as a WWI gunnery and bombing area. WiLDCOAST, Imperial Beach surfers, the Surfrider Foundation, Senator Tom Coburn and the Obama White House kill the project that the City of Imperial Beach spent more than $250,000 lobbying for. 2001: SANDAG carries out a project with clean sand, which helps to create great sandbars for surfing and clearly increases the size of our beach. 2004: Army Corps dredges area near the Bay Bridge. Barges then dump toxic sediment in the surf zone including thousands of rocks and pieces of garbage, dangerous rebar and metal onto beach and in surf zone. Surfers call the dump area “Toxics”. 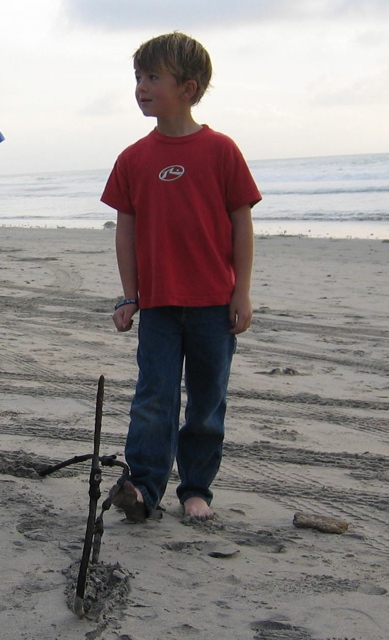 One child is almost impaled by a piece of rebar that is hidden in the surf zone. The City initially denies that the garbage and rocks are from the project. No measurable benefit to beach. 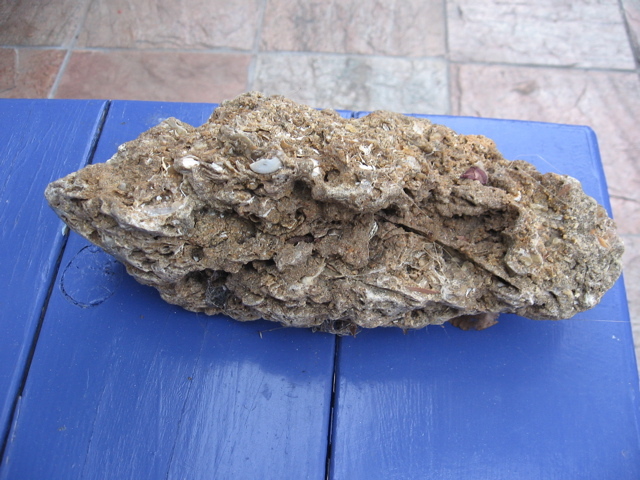 On of the thousands of shell/rock conglomerate dumped on Imperial Beach in 2004. These can still be found all over the beach. 2007: Army Corps permits the dredging of a toxic hot spot in San Diego Bay’s Shelter Island. Dredge spoils are dumped with no notice to Imperial Beach residents. Barge is initially turned away by Imperial Beach Lifeguards. The barge subsequently works in the middle of the night to avoid public scrutiny. No measurable benefit to beach. 2010: SANDAG once again proposes “best practices” sand project to be carried out in 2012 involving clean large grain sand. The agency works extensively with local surfers and stakeholders to plan the project. 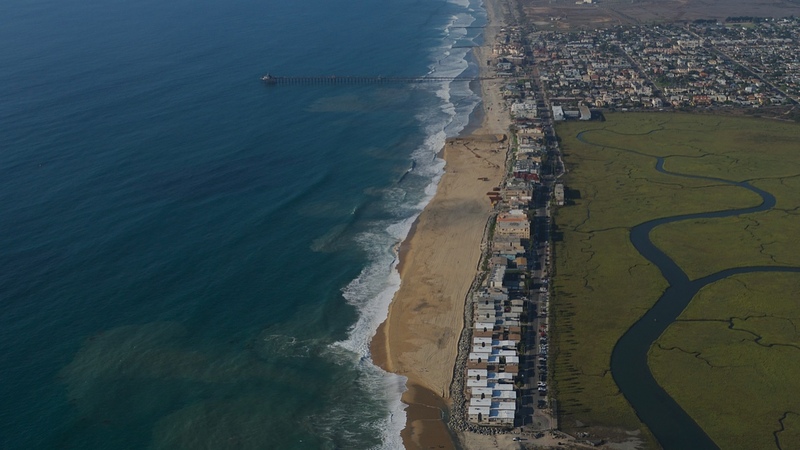 Rather than focus on a coastal zone management plan that proactively seeks to enhance our coastline by addressing sea level rise, ocean pollution and beach management, unfortunately the City of Imperial Beach continues to seeks the placement of any type of “sand” on our beach, regardless of the potential threats to our children. People go to the beach to swim in clean water. The City of Imperial Beach should focus on reducing ocean pollution—the main deterrent to tourism—rather than placing toxic sediment on our beaches in a misguided attempt to promote economic development. 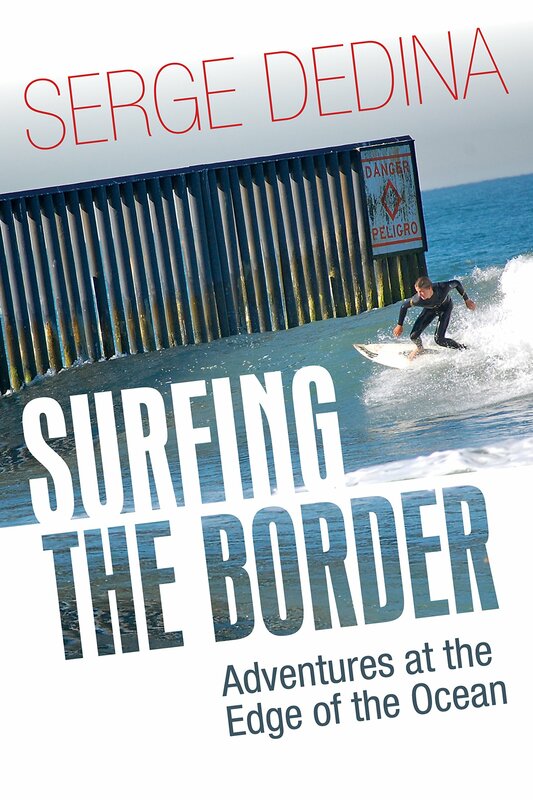 Serge Dedina is the Executive Director of WiLDCOAST and the author of Wild Sea: Eco-Wars and Surf Stories from the Coast of the Californias.